RTÉ News chooses LiveU video uplinking technology. 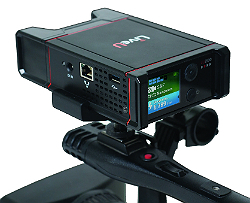 New Jersey, December 2014: LiveU (www.liveu.tv), the pioneer in IP-based portable live video acquisition, contribution and management solutions, has announced that Irish national broadcaster RTÉ has chosen cellular uplinking technology from LiveU to play a central newsgathering role. The project has been managed and supported by LiveU’s Ireland partner, Tyrell. RTÉ has covered a wide range of stories using LiveU’s technology, the vast majority live, including: a two-hour Morning Ireland outside broadcast for RTÉ News Now from the 10th Anniversary of the Workplace Smoking Ban in Ireland; St. Patrick’s Parade Dublin city centre and Dublin Castle; President Michael D. Higgins’ State Visit to the United Kingdom; and the Electric Picnic Music Festival. According to Kaszynski, the biggest success was the coverage of the Labour Party Leader’s resignation. Notification about the press conference came to RTÉ half-an-hour before the event started and in this short time an LU500 bonded unit was deployed and setup for live coverage. RTÉ provided the only live video coverage from the Labour Party press conference and the live feed was picked up by BBC and Sky News. Currently LU500 is on the road every day providing inserts to all main news bulletins and the Morning Edition programme.